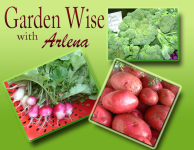 Come Join Arlena Schott Host of the TV series Garden Wise Living with Arlena at IGC. 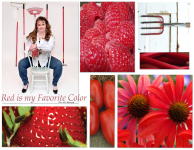 Arlena Schott will once again capture "What's New in the Gardening and Landscaping World for 2012"
and Sharing what Growers have growing on for the gardening season 2012. Arlena will also be doing her regular Radio Show that she hosts on Backyard Poultry with the Chicken Whisperer the 1st and 3rd Wen, of the month ...LIVE from the floor of #IGC11 on August 17th http://www.blogtalkradio.com/backyardpoultry Log in and listen to all the Fun Live from #IGC11 ..Lively Chat Room as well....and call in to say hello! 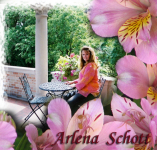 Below is a sample of what Arlena Schott and Garden Wise Living sharred with her viewers in Episodes "Whats New for 2010" 1,2 and 3 that aired last season. So hang on to your Hats Ladies and Gents because Arlena may stop at your booth to capture Whats new for 2012 ~~~~ tweet me @greenblessings or email tailormd@triwest.net Did I say I like CAKE? These Clips were produced by Arlena Schott of Garden Wise Production just for the #IGC11 Follow Arlena on twitter @greenblessings as well as Face Book and Linkedin.